We collect personally identifiable information from Users who provide it to Us a voluntary basis. For example, We may collect Your name, street address, city, state, zip code, telephone number, email address, and possibly financial information, such as a credit card number, if You use the Site to register for an event or conference, subscribe to a newsletter or publication, order publications, request information, send a contribution, complete a survey or enter a contest, submit photographs, articles or manuscripts for posting or review. We may use this information to contact You regarding the status of Your registrations, subscriptions, and orders placed, and to alert You to new information, products and services, events and other opportunities. We recognize that You may wish to limit the ways in which You are contacted and provide You with opt-out options below. 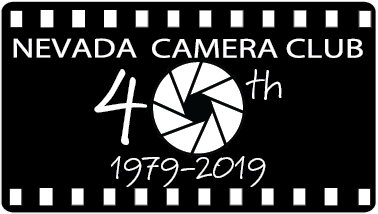 Information about Our experiences and transactions with You, such as Your payment history, types of services and/or products you purchased from us may be shared within the The Nevada Camera Club family of companies. We will not disclose to third parties (that is, people and companies that are not affiliated with Us) individually identifying information, such as names, postal and e-mail addresses, telephone numbers, and other personal information, except to the extent that it is necessary to process and provide You with Your order, subscription request or other request. Your contact information may also be provided to the extent necessary to comply with applicable laws or legal processes (e.g., subpoenas), or to protect Our rights or property. We will cooperate with all law enforcement authorities. For each visitor to this Site, Our server can detect and collect certain information, including the User’s domain name and e-mail address, and can identify the Web pages the User visited or accessed. We may use this information in order to measure interest in and use of the various areas of the Site. We do not knowingly solicit information from children and We do not knowingly market the Site or its services to children. No one under the age of 13 should submit any personal information to Us and/or on the Site. You may at any time opt out of having Your personal information used by Us to send You promotional correspondence by contacting Us via e-mail, telephone, or at the address provided in the "Contact Us" section below. This Site may use "cookies" to allow You to move more quickly through the Site, particularly in member only and/or restricted areas of the Site. Cookies are small text files a web site can use to recognize repeat Users and facilitate their ongoing access to and use of the site. The majority of web browsers accept cookies, but the “help” menu on Your browser should give You options for preventing, accepting, or receiving notice of new cookies. Please note that cookies may be necessary to enable You to use certain features on this Site. We maintain physical, electronic and procedural safeguards to prevent the unauthorized release of or access to Your personal information. When We transfer and receive certain types of sensitive information such as financial information, We redirect visitors to a secure server. We do not store or reuse Your credit card information, unless You authorize us to do so. We restrict access to personal information about You (including credit card and other payment information) to only those employees who need the information to provide You with Your order, subscription request or other request. However, such precautions do not guarantee that this Site is invulnerable to all security breaks. We make no warranty, guarantee, or representation that the use of this Site is protected from viruses, security threats, or other vulnerabilities and that Your information will always be secure. We cannot guarantee the confidentiality of any communication or material transmitted to/from Us via the Site or e-mail. Use of the Internet is solely at Your own risk and is subject to all applicable local, state, federal, and international laws and regulations.